Lost Coast Marimbas Added to lineup . Lost Coast Marimbas are a unique, dynamic ensemble that blends a variety of musical styles with innovative instruments to produce a stirring, enchanting sound that inspires audiences of all ages. The band has an enthusiastic approach to popular music that encourages creative expression by combining rock & roll, jazz, reggae and world beat. Final Days for Mail-Order Tickets � This is your last chance to purchase advance tickets for SNWMF 2008, via mail-order, with absolutely no service charge. Your order must be postmarked no later than June 10, 2008. Send check or money order, $.42 stamp (no envelope) & your address legibly written to: SNWMF 2008 � PO Box 208 � Ryde, CA 95680. Tickets are also available for purchase online and through our many Independent Outlets. Single-Day Tickets Now Available Online � SNWMF is please to announced that a limited number of single-day tickets are now available for purchase online, and at our Mendocino, Sonoma and Marin County independent outlets. The advance purchase price for advance tickets are: $55 for Friday, $65 for Saturday, and $55 for Sunday. You may also purchase Single-Day Tickets via mail order provided your order is postmarked no later than June 10, 2008. SNWMF�s Commitment to the Re-Greening of Planet Earth - SNWMF is committed to the Re-Greening of Planet Earth and supports sustainable living through re-greening practices and cooperation with green businesses. HYDRO PACIFIC sponsored the solar lights in the campground, solar highway directional boards, and biodegradable dining ware. GREEN SOLUTIONS, a carbon neutral company, printed the festival program and other SNWMF promotional materials. GREEN MARY specializes in zero waste reduction and oversees the festival's recycling program. NAVARRO RIVER RESOURCES CENTER - SNWMF contributes to the center which helps restore water quality and fisheries habitat in the Robinson Creek which runs through Anderson Valley. KLEAN CANTEEN - provides water to festival goers with refillable water bottles. ODWALLA - provides organic juice drinks and nutrition bars to SNWMF staff and volunteers. SATORI MOVEMENT - sponsored SNWMF's sustainable hemp/organic cotton tee shirts. Car Pool! Don't come alone! Save gas and reduce carbon emissions.Bring your own water bottle.Leave no trace at your music listening spot or at your campsite.Never put recycling in the trash. It's better to leave it beside the can. SNWMF's green team will dispose of it soon. When packing for SNWMF, pack reusable to-go ware (plates, utensils, cups) and your own reusable, refillable water bottles. Bring your own plate and utensils when visiting the Food Vendors. Food vendors will serve on your own plate. June 8, 2008, Miami, Florida� M. Peggy Quattro, publisher and founder of Reggae Report, announces the first episode � or webisode � of Backstage @ReggaeReport.com. The online video show was conceived early in 2007 while visiting friends on Mammee Bay, Ocho Rios, Jamaica. The picture-perfect water and tropical surroundings inspired Peggy to envision a beautiful setting where the story of reggae music could be told. With more than 27 years in the reggae industry, Peggy has been writer, photographer, speaker, radio show host, and CD and concert producer. She has a commanding archive of stories, interviews and photographs to share with the world. When the increased printing and shipping costs forced the magazine to cease printing, Peggy looked to the Internet as the next frontier. She began ReggaeReport.com in 1999, offering the same news and information format as the magazine, without the expense and difficulty of collecting from distributors in 42 countries! With the Internet, Reggae Report has been able to reach more fans, in more countries, faster, and on a daily basis. Back in Miami, Peggy had lunch with daughter, Arielle Grace Quattro, then a senior in TV production at the University of Central Florida, in Orlando, Florida. She shared her Jamaican vision, ideas and hopes to continue her role as a reggae innovator. Arielle, growing up in the world of reggae and publishing, was keenly aware of her mother�s passion. With reggae�s explosive growth on the world music scene and an abundance of music sites, Peggy knew she had to come up with something different. Together, they discussed the possibility of an Internet show. 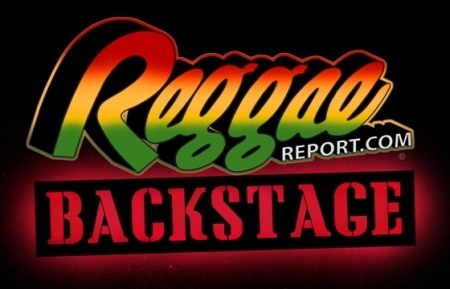 Combining Peggy�s history, contacts and access with Arielle�s training in both video and television production, as well as acting, they came up with the concept for Backstage @ReggaeReport.com! 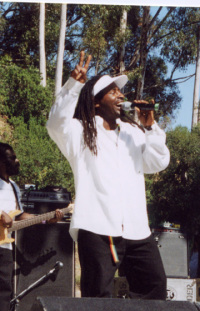 The first webisode begins with coverage of the inaugural Reggae Academy Awards, held in Kingston, Jamaica, in February 2008. Peggy and Arielle converged on Kingston, setting up a studio at the hotel, shooting days of interviews, footage of the awards show, as well as capturing the flavor of downtown Kingston and New Kingston. The result is a three-part series that focuses on before, during and after the history-making awards show. After gathering and logging the hours of tapes brought back from Jamaica, Arielle has edited an entertaining eight-minute online show, featuring stars, music and video that will surely capture the attention of global fans. As host, Arielle Grace brings beauty and poise to the small screen. M. Peggy Quattro speaks with award show nominees, performers and presenters in a casual, personal style that will have viewers feeling as if they are there. As reggae reaches its 40th anniversary, there are many stories still left to be told. Reggae Report, always on the cutting edge, will be there to do its part � one webisode at a time. ReggaeReport.com is a division of RRI Media Corp., a Miami, Florida-based company. 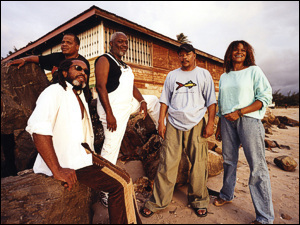 Kassav, the leading band to emerge from the formative years of Zouk music, will be among the premier acts performing at the 12th Annual St. Kitts Music Festival, which will take place from June 26-28, 2008. The group�s first album, �Love and Ka Dance� released in 1980, is widely credited with establishing the sound of zouk music. Kassav has produced more than a dozen albums during their nearly 30-year career, the most recent being �All You Need is Zouk,� released in 2007. Located in the northern Leeward Islands of the Caribbean, St. Kitts offers a diverse tourism product developed from the destination�s natural beauty, cultural heritage and rich history. The island�s stunning variety of tourism attractions include hiking through the tropical rainforest, riding the scenic railway that connects the island�s sugar plantations, touring Brimstone Hill Fortress National Park, the only man-made UNESCO World Heritage Site in the Eastern Caribbean, and the more traditional vacation pastimes such as watersports, golf, shopping, tennis, gourmet dining, gaming at one of St. Kitts� two casinos or simply relaxing on one of the island�s sandy beaches. Guests can select from accommodations ranging from intimate plantation inns to larger hotels or resorts. 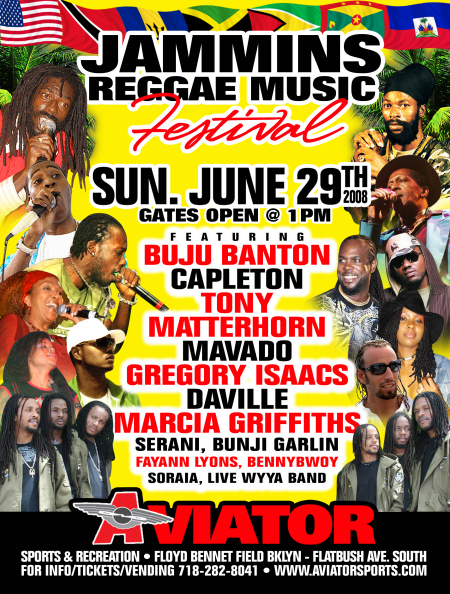 For chances to win tickets into the Festival, visit www.stkittsmusicfestival.com. From U.S. 1-800-582-6208 or from Canada 1-888-395-4887, e-mail info@stkittstourism.kn or visit the website at www.stkittstourism.kn. With the South By Southwest Music Conference and the Vans Warped Tour Kick-Off Party under their belts, Los Angeles natives The Aggrolites are primed for the most important summer of their six year career. The Aggrolites will dish a heavy dose of soulful, funky reggae thru their energetic live sets during North America's longest-running traveling punk rock summer camp known as Vans Warped Tour. VWT Founder and Producer Kevin Lyman boasts, "They have everything I like in a band,...I hope you enjoy this band as much as I do." The Aggrolites will make their sonic big screen debut with song contributions to the upcoming Endless Bummer motion picture and CD soundtrack. The teen surf comedy, starring Matthew Lillard and Executive Produced by VWT�s Kevin Lyman, will feature Aggro renditions of The Specials' "Ghost Town" and Musical Youth's "Pass the Dutchie." Both �80s classics have been updated with The Aggrolites� signature dirty reggae style, and on "Pass the Dutchie," they are joined by legendary Jamaican DJ General Smiley of Michigan & Smiley fame. Visit www.endlessbummerthemovie.com. �Faster Bullet,� one of the fan favorites from The Aggrolites' most recent release, Reggae Hit L.A. (Hellcat/ Epitaph), will be included on the Vans Warped Tour 2008 Compilation CD. The Aggrolites are Jesse Wagner (vocals, lead guitar), Brian Dixon (rhythm guitar), Roger Rivas (organ), Korey Horn (drums) and Jeff Roffredo (bass). 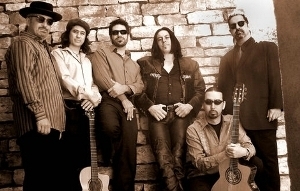 They have three albums to their credit: Dirty Reggae (Axe 2003), the self-titled The Aggrolites (Hellcat/Epitaph 2006), and the critically acclaimed Reggae Hit L.A. (Hellcat/Epitaph 2007). Our best issue yet hit the streets. if you ordered boxes for distribution, watch for the UPS truck coming down your block! Pick one up free at your local Rasta shop, music store, club or festival. Over 112 pages chock full of reggae history and lifestyle and of course music, musicians and festivals. Thank you to all of our advertisers who make it possible to put 100,000 free copies into the hands of reggae fans throughout U.S. and Canada. ALL SOUND SYSTEMS, SELECTORS, RECORD SHOPS, NIGHT CLUBS & RADIO DJS WHO WISH TO ASSIST US AS WE COMPILE OUR WEEKLY CHARTS, PLEASE FURNISH US WITH ONLY CURRENT TELEPHONE NUMBERS. CALL: 876-968-5817 NOW!!! In a food processor, combine all ingredients except chicken; puree until smooth. Add all but 1/4 cup of the mixture in a 1 gallon plastic sealable bag. Add the chicken or Tofu to the bag and let marinate in the refrigerator for 1 to 2 hours for Chicken and 2-4 hours for the Tofu. Heat grill to medium-high. Skewer chicken pieces and veggies (alternate) and grill on 1 side for about 5 minutes. Flip and grill the other side until cooked through and grill marks appear. Check back next week for my yummy Mango and avocado Salsa recipe! "Las_Vegas_Carib Organic, Vegan, Vegetarian Private Chef MAYRA"
Francisco on Friday, June 20. Flying in from New York. Reach forward if you've got some space. DONT MISS THE 11TH ANNUAL JAMROCK REGGAEFEST, SATURDAY JUNE 14TH @ THE HAMMERSTEIN BALLROOM. 311 WEST 34TH STREET NY...COME SEE BEENIE MAN, SANCHEZ, KYMANI MARLEY, THIRD WORLD, ETANA, CHRISTOPHER MARTIN, DEMARCO, CECILE, ASSASSIN, AND MR. VEGAS. The 36th annual Woodbury Reggae Festival takes place June 21-22 at the Woodbury Ski Area in Woodbury, CT. Fans who want a bit more comfort and relaxation can book a weekend hotel and transportation package offered by Vacation Vibrations, a Massachusetts-based tour operator. The package includes two nights hotel accommodations (Friday June 20 and Saturday June 21), breakfast each morning, admission to both days of the festival, and scheduled transport to and from the festival site. Tour operator Scott Tepper comments, "This is for music fans who love the festival experience, but just want to indulge themselves a little. Our package makes the weekend a real mini-vacation: sleep in a real bed, wake up to a hot breakfast, sit back and relax on the drive to the festival and back, and take a swim and a hot shower at the end of the day." Selena Serrano is not from Belize, she is from Miami. BLESSED LOVE from Beautiful BELIZE! RAS INDIO & CHEZIDEK recently recorded a song together entitled "HERBALIST SONG" - This Big Ganja Tune will be released later on this year as a SINGLE!!! It will also be on RAS INDIO's upcoming 2K8 release "JAH BLESS US". LINE UP: CHEZIDEK, COCOA TEA, ANTHONY B, NATURAL BLACK, FANTAN MOJAH, Mr. PERFECT, QUEEN IFRICA, TURBULANCE, I - WAYNE, TAURUS RILEY, NATTY KING, NORRISMAN, Ras SHILOH, RAS INDIO & Many, Many More! Love is written by J Ross-Parrelli featuring Speech of Arrested Development and produced by Jamaica's very own Groove Galore, whom also drums for Big Mountain, Maxi Priest, Tanya Stevens and Produces for Jamaica's newest hit artist Tessann Chin. Groove Galore and J Ross-Parrelli are set to release an album in the summer of 08 which includes Sizzla, Supernatural, Pharcyde, J5's Akil the MC and Speech of Arrested Devlopment. 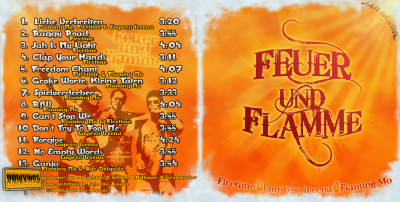 "Flaming Mo, Firetime & Empress Ireena" : : "Rfw"
name of the album: "Feuer und Flamme"
artists: "Flaming Mo, Firetime & Empress Ireena"
CD released in February 2008. The song speaks of religion, respect the human being, nature, and brotherhood together. Has 12 tracks. The songs are all new. MmGood Records, The International World Music Festival, & the Mark Miller Co.
1944: Monty Alexander is born in Kingston, Jamaica. 1956: Michael Wallace [Third World; keyboards] is born. 1960: DJ Tiger (Norman Jackson) is born in Kingston, Jamaica. 1964: Millie Small's "My Boy Lollipop" reaches #2 in the U.S. It entered the Hot 100 in the U.S. on May 23. 1965: Junior Reid (Delroy Reid) is born in Tower Hill area of Kingston, Jamaica. 1999: DJ Mr. Vegas is involved in a motor vehicle accident. Vegas was on his way home from a recording session at Jammy's studio in Waterhouse when the Honda Prelude car he was driving crashed into a taxi with the two children aborad on Maxfield Avenue. The impact sent the taxi tumbling and the children, a boy and a girl, sustained injuries. Vegas and the taxi driver received minor injuries. Experience The Divine Crime, a 5-piece powerhouse, featuring lead vocalist Amee Jana Divine, Ezra Divine on drums, Benji Bass Divine, Josh Divine on guitar, Cynthya Love Divine...Representing true musicianship and serious eye candy, the group demands attention, infusing reggae, roots, dub, dancehall, soul and jam music into a seamless combination!! A dark side of reggae is exposed in their music, with layers of heavy bass and heart filled melodies that attracts a wide range of fans. Their mission is to empower every kind of music lover, throw fears & timidness out the door, rock it out no matter who's staring, and to influence the guy standing in the back of the club to the front of the dancefloor. Their mission has already been accomplished. Featuring the backing band of HR from Bad Brains and funk vocalist Amee Jana, The Divine Crime is an all-star crew with serious energy, song-writing power, and a contagious vibe. Recently joining forces summer of 2007, this band brings years of hard work to their music, and each member has such an extreme story and incredible repitoire, coming from previous (and current) bands such as HR of Bad Brains, Rising Son, Haile Maskel, Doug Means Project, Hazie Maze, Departure, PYRX, Butterfly Kings, Dirty Heroine'+ More. In addition to their projects, members have shared the stage and worked with world renowned artists such as Damian Marley, Sly & Robbie, Soulive, The Neville Brothers, Eek-A-Mouse, Abbyssyns, Phil Lesh & Friends and the list goes on! I hope that you take a moment to pray with me today. Please pray with love and conviction. And understand that if Peace doesn't start here in the hearts of you and me, how can we ever expect it to come into the lives of people who are being persecuted daily. How can we expect the people of a nation that has been violated for thousands of years to find peace, if we here in America, we who have all things imaginable, can't find it in our hearts to be at Peace with our neighbor. 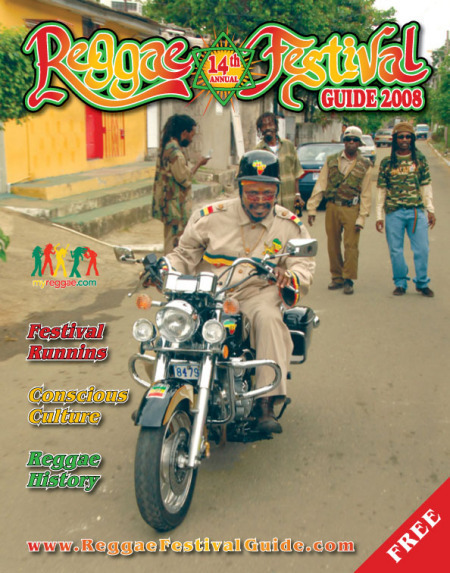 The Reggae Festival E-Guide (weekly E-zine) is an informational and educational resource for those who live, love and enjoy Reggae and its vibrant culture. The E-Guide encompasses the music, lifestyle, energy and spirituality that define this unique and diverse international community. You can expect CD releases, industry news, band tours, inspirational pieces, health articles, Ital and Jamaican recipes, reggae trivia and, of course, upcoming Reggae festivals. Click here to reach the editor.